Jeff Stewart is one of the most popular and respected tenors of his generation. A graduate of the Guildhall School of Music and Drama, Jeff Stewart was awarded the Harold Rosenthal Award. He went on to continue his studies at the National Opera Studio in London. 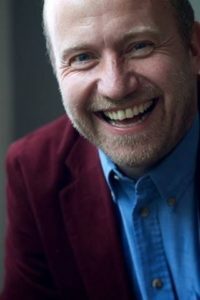 Highlights of his work in the United Kingdom include Duca RIGOLETTO and NADIR LES PECHEURS DE PERLES, while for Opera Northern Ireland he sang Tamino DIE ZAUBERFLOTE, and a long and happy collaboration with Opera Holland Park has included roles such as Rinuccio GIANNI SCHICCHI, Nemorino L`ELISIR D’AMORE, Edgardo LUCIA DILAMMERMOORandFederico L`ARLESIANA. Recent engagements in the UK and abroad include covering in THE NOSE at the Royal Opera House, role debuts in the title-role PETER GRIMES and Laca JENUFA for Theater Altenburg Gera, Germany, Johannes WERTHER and Harlekin DER KAISER VON ATLANTIS for English touring Opera, . Other appearances have included Pinkerton MADAMA BUTTERFLY for Raymond Gubbay Ltd at the Royal Albert Hall and appearances with Opera North and English National Opera. He made his debut at Covent Garden as Conte Ivrea in Verdi UN GIORNO DI REGNO. International engagements have included Ernesto DON PASQUALE for the Deutsche Oper am Rhein, Düsseldorf, the title role in LES CONTES D’HOFFMANN, Alfred DIE FLEDERMAUS, Alfredo LA TRAVIATA, Don Narciso IL TURCO IN ITALIA, Don Ramiro LA CENERENTOLA, Candide CANDIDE, Alain GRISELIDIS, Manolios GREEK PASSION and Romeo ROMEO ET JULIETTE. He has also sung Der Haushofmeister bei Faninal DER ROSENKAVALIER and covered the role of Gonzalve L`HEURE ESPAGNOLE at the Royal Opera House, Ricardo UN BALLO IN MASCHERA for Opera 2005; Manolios GREEK PASSION for Opernhaus Zürich; cover of the role of Steva Buryja JENUFA for English National Opera; and covering the title role in PETER GRIMES at English National Opera, Knight THE PROMISE END by Alexander Goehr for English Touring Opera and Arvino I LOMBARDI for University College Opera. A consummate oratorio and recital performer, his appearances have included all the major London venues, as well as debuts in Dublin, Vienna, Budapest, Paris, Belgium, Italy and the USA. He has performed almost all the great oratorio repertoire, with significant appearances including Verdi Messa Da Requiem, conducted by Matthew Best, and Kurt Weill Seven Deadly Sins, conducted by John Eliot Gardiner. He also appeared in a tribute concert to Mario Lanza entitled ‘Be My Love’.